We hit the ground running in Rome today. Some of our folks who did not stay for the extension went to the airport and flew home. But 30 and us remained for three days with intensive touring of Christian Ancient and Christian Rome. 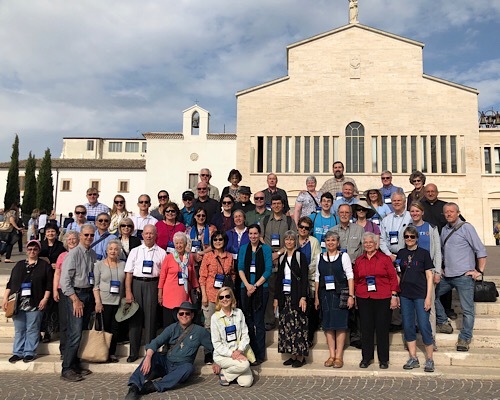 We started the day with Mass at the Church of Saint Peter in Chains (homily here) before venerating the tombs of Saint Ignatius and Saint Clement in the Church of San Clemente. These two Apostolic Fathers were disciples of the Apostles and they convinced me of the truth of the Catholic Church. We also descended into subterranean 1st century Rome under the church for an interesting tour of archaeology. 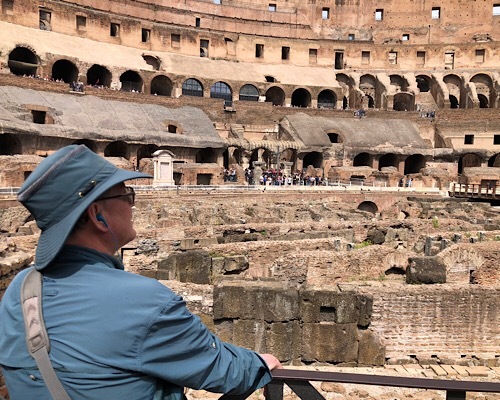 Then we met up with our guide Liz Lev and we took an intensive tour inside the Colosseum and Roman Forum where we showed how the Catholic Faith progressed through the first centuries. It was a full semester history on Rome. It was an excellent tour. The group asked Liz if Christians were martyred in the Coliseum. Here is her answer. Then to our favorite restaurant for dinner. Is DOGMA an Oppressive Catholic Word?